It's the day after the Big Game. It's a good day to give your body a rest from all that alcohol, greasy, and processed food. It's a good day for a muffin. 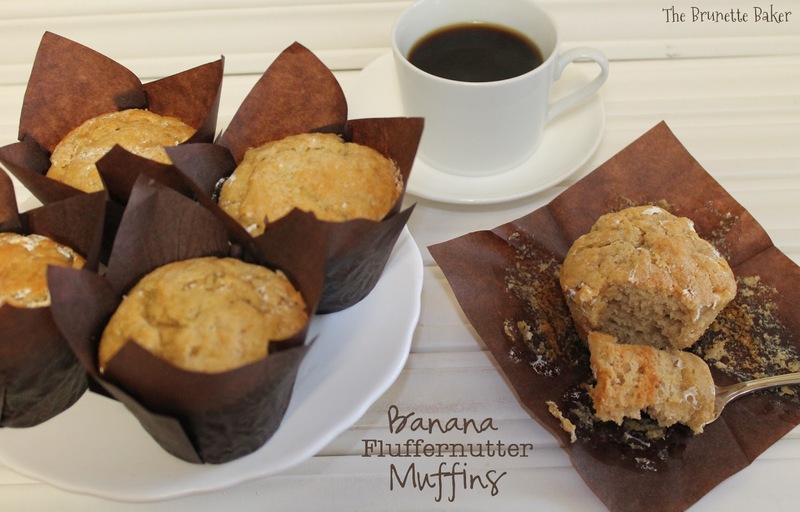 Not a 'Bung-me-up-or-turn-me-loose' bran muffin. More like an 'I-want-a-something-different-and-interesting' kind of muffin. Preheat oven to 350ºF. 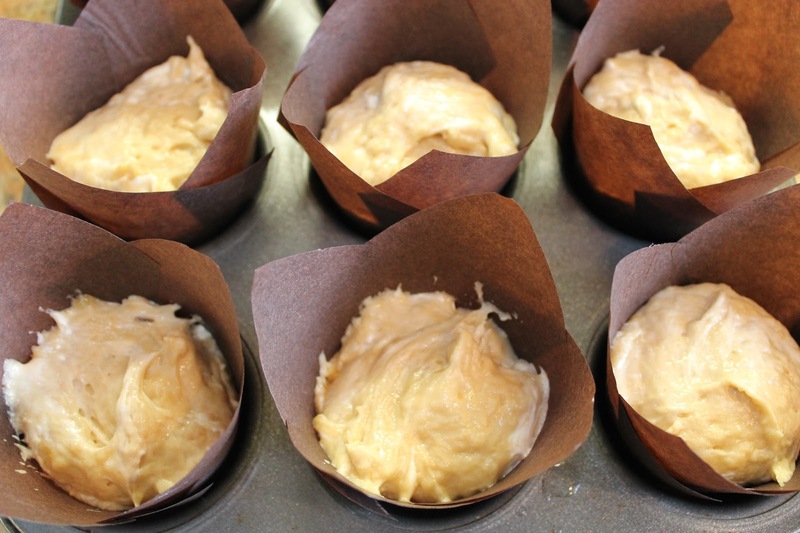 Line a jumbo 6-cup muffin tin OR a 12-cup standard muffin tin with tulip-style paper liners. These liners will hold double the amount than regular paper liners. 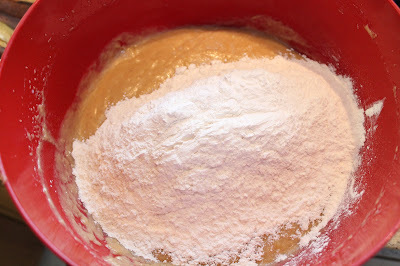 In a mixing bowl, whisk flour, baking soda, and salt together. 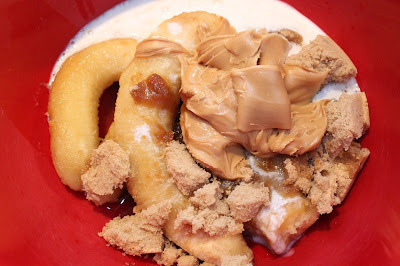 In a separate mixing bowl, using an electric mixer, beat together sugars, egg, buttermilk, melted butter, bananas, and peanut butter until completely incorporated. 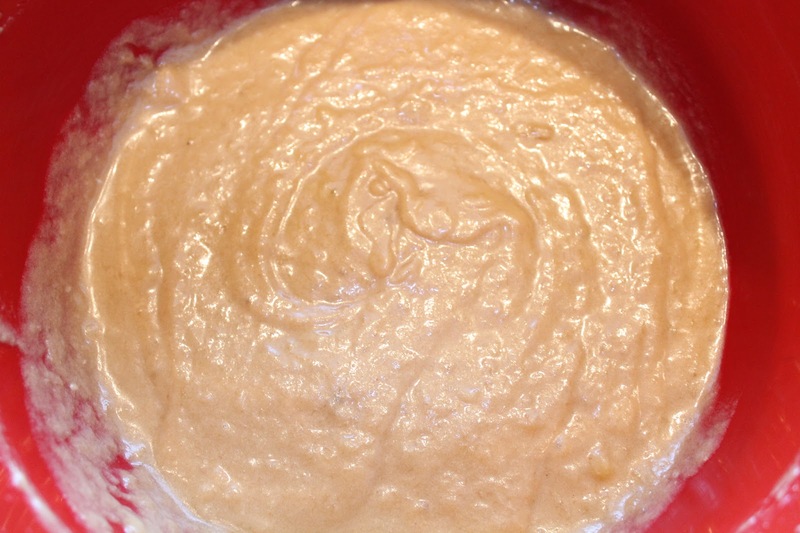 Using a wooden spoon, gently add dry ingredients to wet ingredients and mix only until incorporated. Batter will be lumpy. 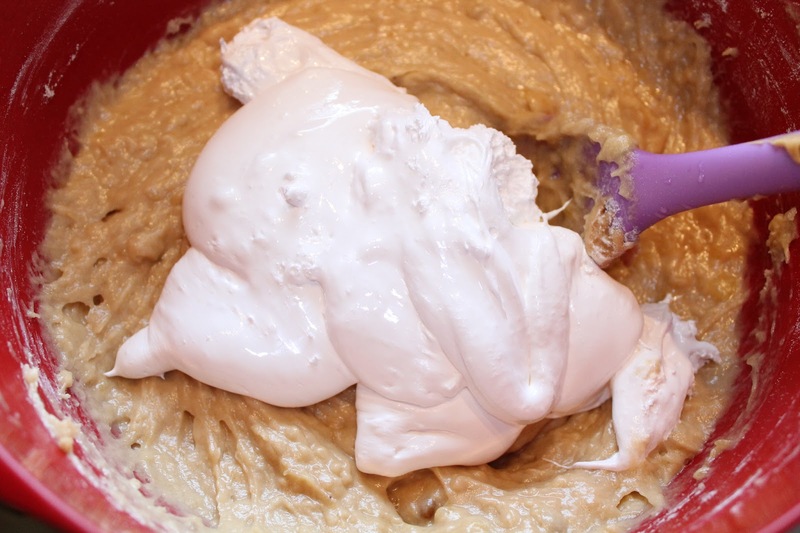 Fold in marshmallow fluff. You want marshmallow fluff to create a streaky effect, not disappear into batter, so take care not to over mix. Using a large ice cream scoop, place 2 scoops into jumbo tin or tulip papers. Sprinkle with coarse sanding sugar or mini Marshmallows bits. Bake for 25-30 minutes or until toothpick inserted in the middle of muffin comes out clean. Remove from oven and allow to cool for several minutes before transferring to a wire rack to completely cool. You had me at Marshmallow Fluff! Oh my. I need to try these soon! Such a cute post and oh my that muffin! Thanks for Linking up at Show Me Your Plaid Monday's!